It seems like when the weather is very hot or very cold we look for a beverage to cool us down or warm us up! 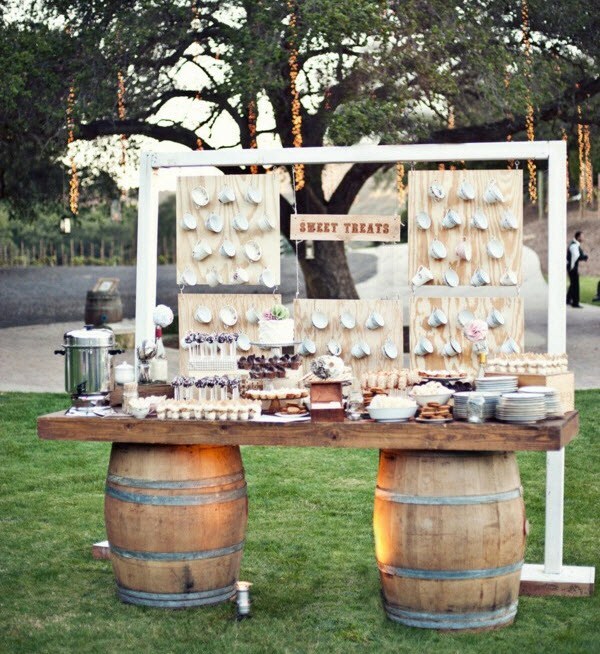 It's hard to please everyone but we love the idea of a Beverage Station at your wedding! There are so many things going on at a wedding sometimes that it is nice to be able to pour yourself a nice cup of tea or a cool glass of water and sit down and enjoy the refreshment. We collected a few of our favorite beverage ideas - both non-alcoholic and alcoholic. We love the creativity that abounds and love to meet the challenge of a fun and inspired beverage station! What beverage station would you like to see or would you like to have at your wedding? Let us know! The class never gets old. Iced tea, Water and Lemonade satisfies everyone! And you can even make Arnold Palmers for those who cannot decide between iced tea and lemonade! This hot chocolate station is so inviting and we think it looks so elegant! Tea and treats on this amazing station really catch our attention! A freshly squeezed juice bar would be perfect for a late morning/brunch wedding! This wine bar looks like an oasis that we would gladly hang out at! You cannot always do a "serve yourself" beer station but if we had the opportunity to design it, I would love this one! This soda station has sparkling water, iced tea, sodas and even a snow cone machine! How fun! When the weather turns there is nothing more warming and welcoming than apple cider!